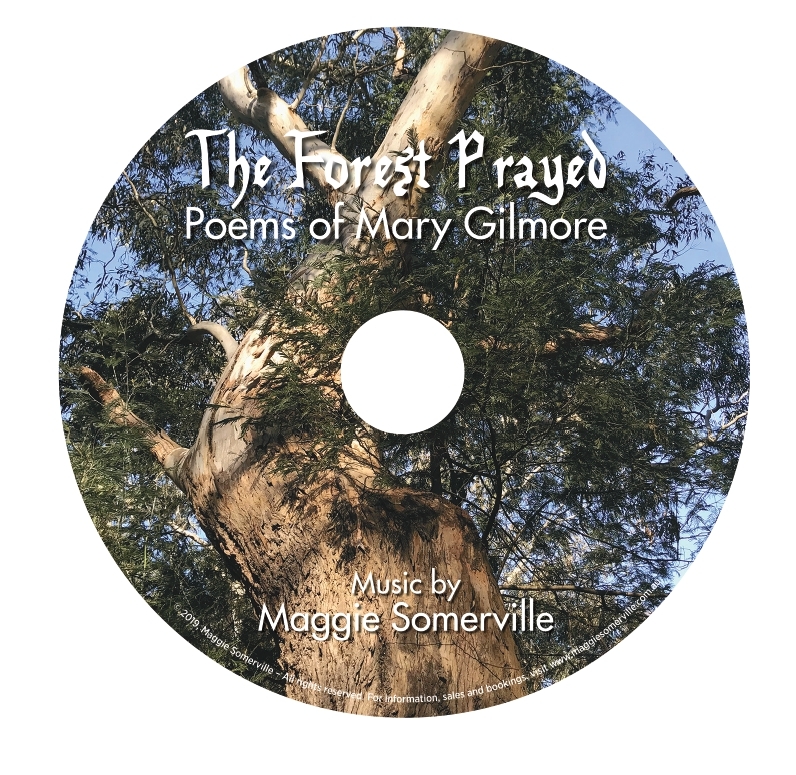 I am delighted, and relieved, to announce that I have finally completed my new album, ‘The Forest Prayed’, of poems by Dame Mary Gilmore which I have set to music over the last few years and now recorded. 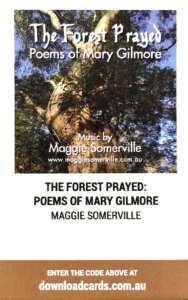 It has been a marathon effort recording this album, with many trips up the mountain to the beautiful studio in Kalorama, much liaising with various instrumentalists, and stressful emails about copyright issues with the owner of Mary Gilmore’s estate as well as with the Dobell Foundation (about the use of Dobell’s famous portrait of the poet). My son’s tragic death just as I completed the album has now led to my dedication of the album to him, especially as his graphic artwork appears on both the CD cover and the booklet. I like to think that he would be very happy to see this album finished and about to be launched, as I so often played him different tracks and sought his feedback, which was always positive and supportive. In our ever-changing world of technology, I was worried I would have to deal with tiny USB sticks for my new album, but I’ve now discovered that, with CD players now becoming rapidly extinct in cars and elsewhere, we have a new phenomenon – the download card. At least this has the advantage over a USB stick of having a visible title, image and website on it. So I have now organised the album as a CD with a download card inside, protected by shrink wrap – a full package for $20 each. My first launch was on Saturday 6th April, 4-6 pm in the Memorial Hall, Dennison Street, Crookwell, New South Wales – near where Mary Gilmore was born. It was hosted by the Upper Lachlan Shire Mary Gilmore Society and launched by Ms Louise Taylor, wife of local member, Angus Taylor. I have also organised a major launch in Melbourne, at Federation Room, Maroondah Federation Estate in Ringwood, on Saturday 27th July, from 2pm to 5pm. There may be other launches, to be announced. Despite being on our past and current $10 note and being made a Dame for her services to Australian literature, Mary Gilmore has, I believe, been long overlooked. 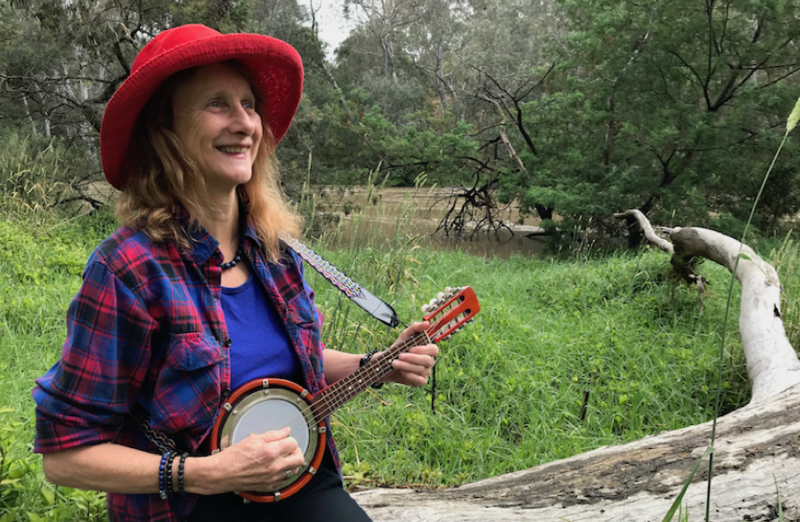 The works of both her contemporaries, Banjo Paterson and Henry Lawson, are extremely famous and strongly promoted musically although neither was made a knight. Is this because they were men and Mary Gilmore a woman? I believe so, and feel that it is now time for the balance to be redressed and for Gilmore’s literary talents to be more widely publicised and promoted just as Paterson’s and Lawson’s have been down the years by various musicians. I am proud to be the first person to put together a full album of this talented woman’s works and to hopefully help to immortalize her poetry in Australia and beyond. 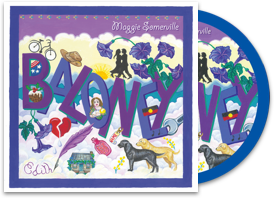 Maggie Somerville is a Melbourne-based singer/songwriter, who has been writing and performing in bands, duos and as a solo performer, for over thirty years.